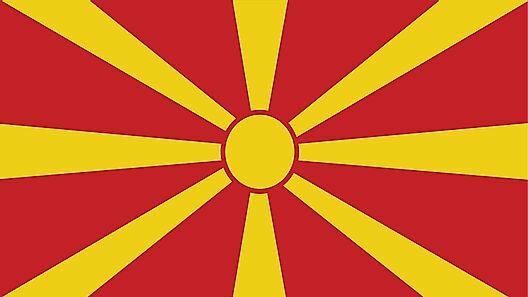 Macedonia's flag was officially adopted on October 5, 1995. 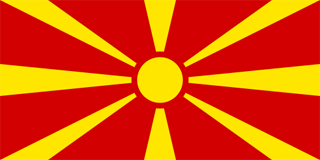 After gaining its independence in 1992, Macedonia still used the traditional red field, but removed the gold-edged star, and replaced it with a golden sunburst. That star, called the Star of Verjina, was removed because of objections raised by the Greek government that claimed it was a true Greek symbol. 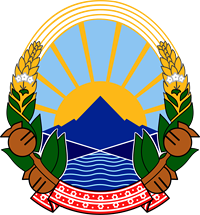 Macedonia's current coat of arms, considered an emblem, was adopted on July 27, 1946.